Has your cowboy hat been crushed? 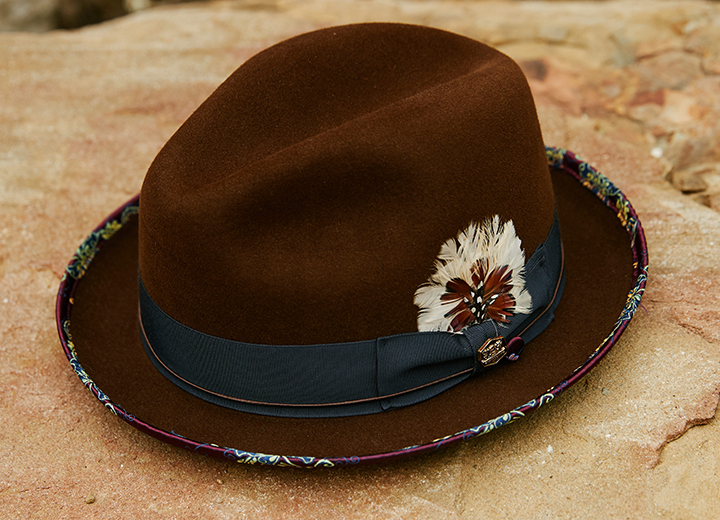 Is your favorite wool felt fedora flattened? 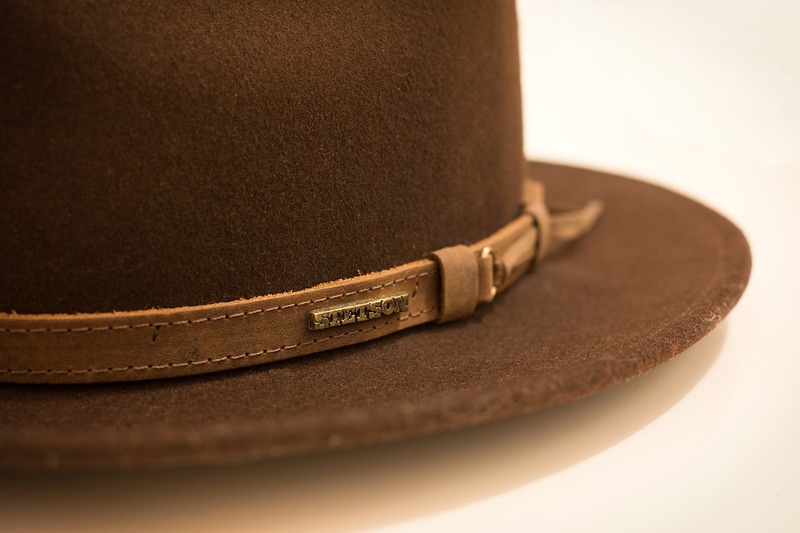 Did your stylish Stetson hat get smashed? Whatever the case may be, if you have a misshapen hat that has gotten out of whack through regular wear, an accident, or poor storage, don't call it quits just yet. It's possible to reshape a hat on your own. 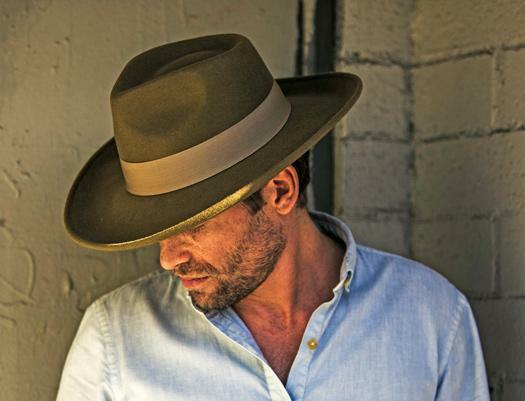 Shape is often a defining characteristic of many classic felt hats like the fedora and trilby. The methods outlined below will help you reshape felt hats, and the bonus is that they can also be used for cotton hats, straw hats, and beyond. Follow these basic guidelines and you'll be one step closer to having your hat back to normal. Before we continue about felt hats, you might be asking yourself, "What exactly is felt, anyway?" It's a popular hat fabric most often made of wool, a natural fiber that comes directly from a sheep's coat. If this wool is spun into thread and woven, it's called felted wool. 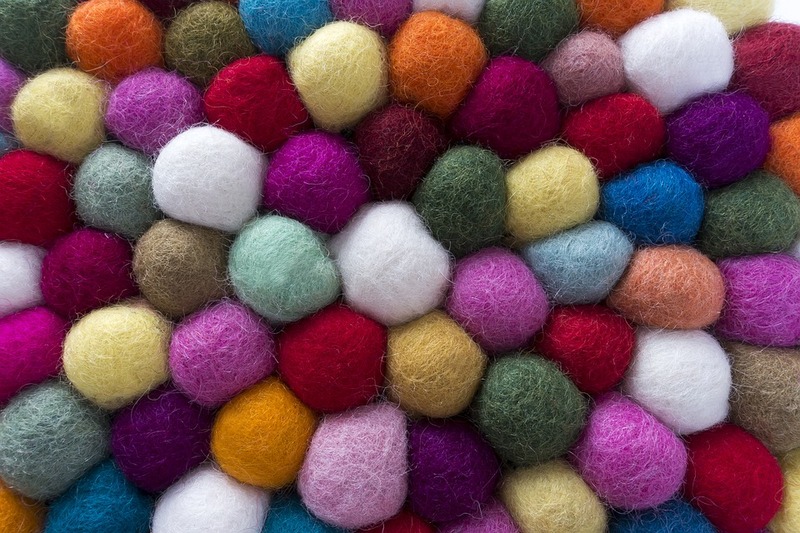 If it's produced by using heat, moisture, and pressing the wool fibers together, then we refer to it as pure wool felt. Back in the early days of millinery, hat-making felt was produced using rabbit fur or beaver fur. For our purposes, a felt hat is a wool felt hat, not a fur felt hat. That said, there are felt hats made from blended fibers like rayon or synthetic fibers such as acrylic. 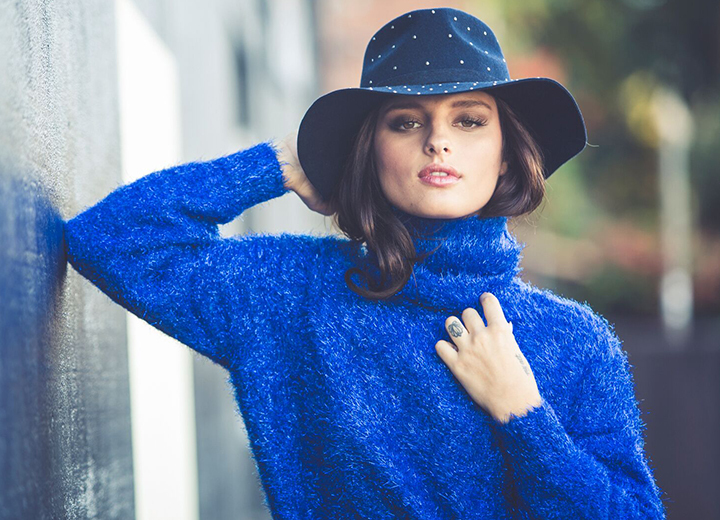 To learn more about wool hats and how to care for them, check out our complete guide on how to clean a wool hat and how to shrink a wool hat. Try this method for any slightly misshapen hats, particularly if the crown is the main problem area. 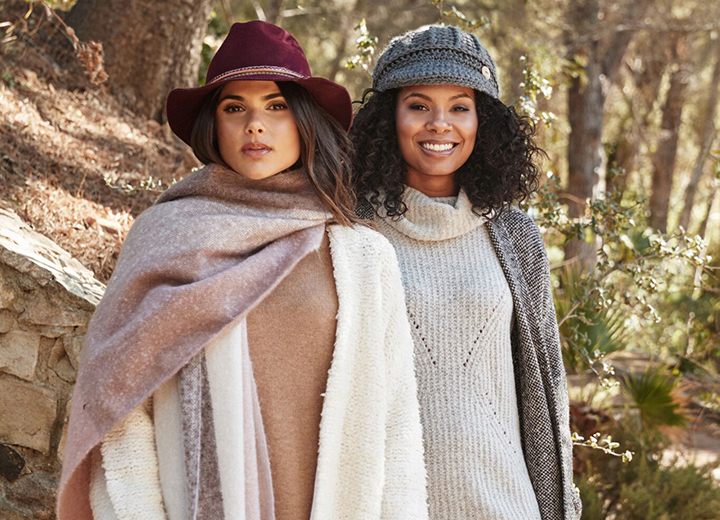 The best hats for this reshaping approach are minimally rumpled felt hats as well as suede or leather hats since these natural materials can be easily damaged with water. Stuff the entire hat with tissue paper or a rolled up hand towel and set it aside in a cool, dry area. Or place it firmly on a wig or hat stand, ball, or round object to help reshape the crown. Check the hat after a day and keep in mind that the shaping process can take a few days. Remove the tissue paper, towel, or ball once the hat regains its shape. 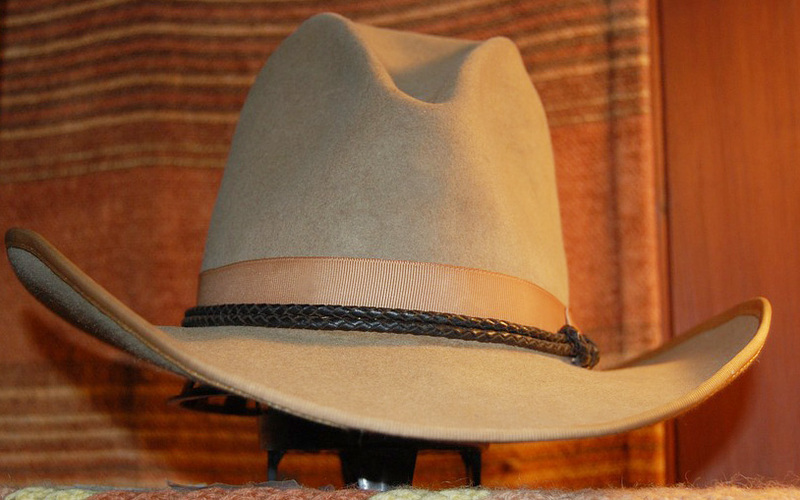 Whether you need to fix a frumpy crown on a felt cowboy hat or a bent brim on a prized pork pie hat, the best way to reshape your headgear is with a steady stream of steam, careful handling, and a touch of patience. Just as ironing will get the wrinkles out of clothes, steaming will remove the crinkles out of a hat. 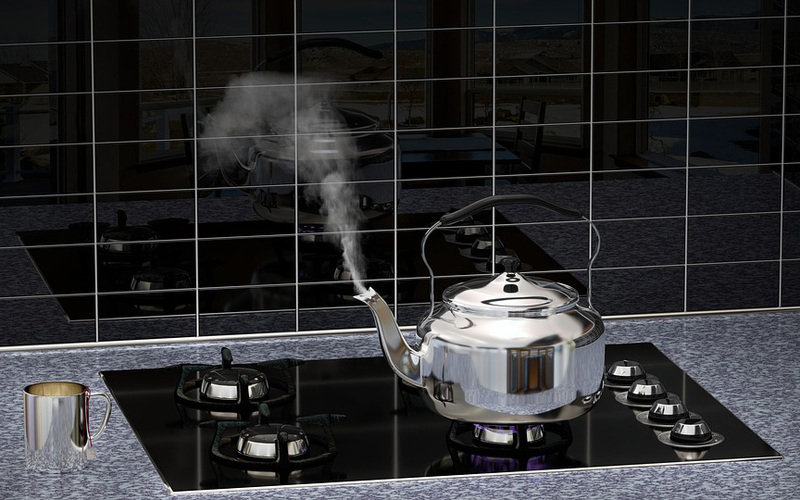 Put a tea kettle to boil on a gas stove or electric range. Open the spout and keep the steam between 6 to 8 inches away to avoid burning yourself and damaging the hat. Steam the hat with the inside facing you — steaming the hat from the underside can ruin the sweatband, especially if it's leather. Be careful with any non-felt embellishments and try to keep them away from the steam as much as possible. Apply steam from the boiling water to the entire hat to loosen the fibers and remove general wrinkles and unwanted creases. If this does the trick, congratulations! You can proceed to step 10. Choose the section you want to shape first and hold it over the steam from the hot water until the fabric softens. Reshape it with your fingers with gentle pulls, bends, pinches, and stretches until you get the shape you want. A flat brim is generally the easiest to attain with a good steaming. If you are trying to give the brim a little upward curve, such as those on a Stetson hat or typical western hats, use your fingers to curl and hold the brim upward until it's molded to your liking. 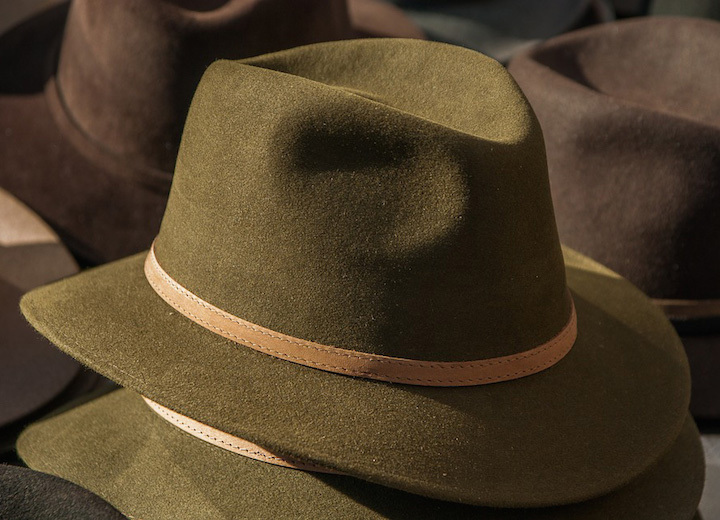 If you want a slightly downward slope like those seen on safari hats and Aussie Outback-style toppers, gently pull the fibers apart and outward to reshape it. Let the shaped portion of the brim cool off and set in position before molding another part of the hat. Repeat this process for each section. If you become impatient and try to move on too quickly you might end up ruining the portion you previously worked on. For the crown, remember to face the outer side (not the inside) toward the steam. If you need to readjust the pinches or dents, you can work the hat both from the inside and outside, pushing it in the direction that you want it to go. Let the hat cool down and set, but not completely. Put the hat firmly on your head to make sure it conforms to your head shape. Keep it on for at least a few minutes — this allows the hat to adjust to the shape of your head for the most comfortable fit. Once it's dry, your hat is ready to wear. If you wear a hat, it might end up a bit out of shape at some point. Or maybe you just feel like experimenting with the silhouette. Whatever the reason, these simple DIY techniques will help you become a pro at reshaping your favorite felt hat. Just remember that the process might need to be repeated a few times to get the look you want. If your hat has shrunk, try these techniques for stretching different hats. Don't forget that part of keeping your hat in perfect shape means properly storing your headgear. Take a look at our top storage hacks and you're sure to keep your hats in tip-top shape year round.